ClearBlue Ionizer Maintains A Perfectly Balanced Pool! 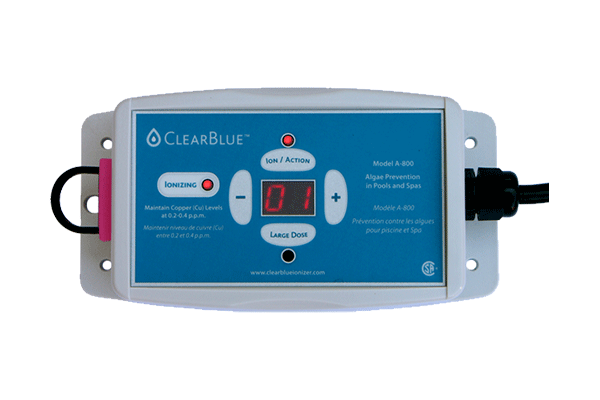 The ClearBlue Ionizer System is a tool for disinfecting water in pools, spas and fountains. The system replaces highly toxic chemicals with a process known as Ionization. 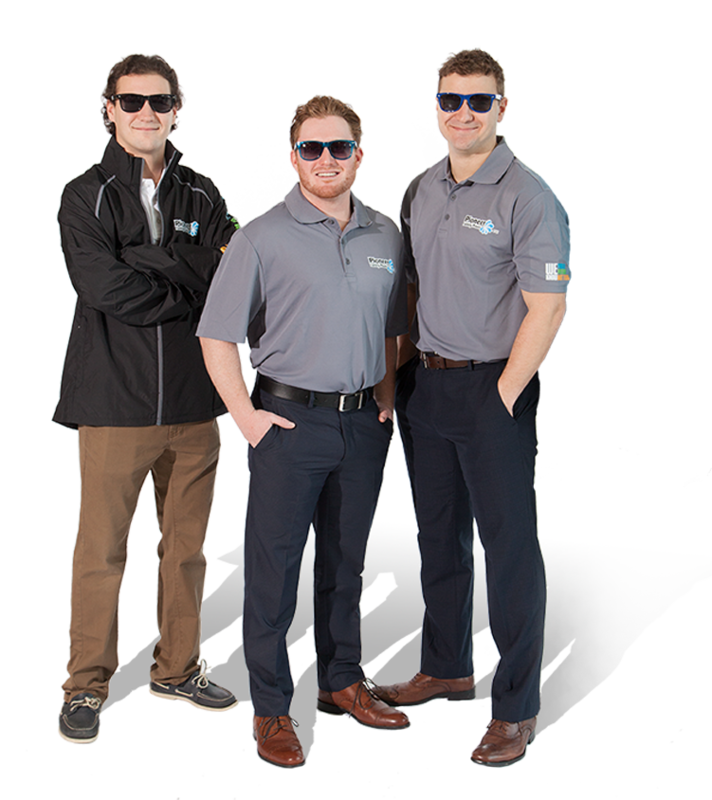 ClearBlue continuously releases harmless microscopic ions into the water. These ions seek and destroy bacteria, viruses and algae. Ions are picked up by the water as it passes over an electrode, that is installed into the plumbing of your pool or spa. An ion is a molecule where the number of protons and electrons are different, giving the molecule a net positive or negative electrical charge. Because of this charge, ions are attracted to bacteria, viruses and algae, destroying them on contact. A ClearBlue Electrode is a metal fork that releases ions into the water according, to the settings on the ClearBlue controller. ClearBlue extracts a proprietary blend of pure elemental silver, copper and zinc ions. This process is what cleanses and purifies the water. Leaving your skin smooth and soft after each swim or soak. Ion levels can be adjusted to the size of your pool, and tub, at the touch of a button. A test kit is included with your ClearBlue Ionizer, allowing you to test and optimize the levels for your liking.